“We had high hopes and ambitions for the Florida Wing with the newest commander, CAP Col Henry Irizarry. We have been highly disappointed with his performance. It seems the days of Pineda’s reign of terror are back in the wing. Threats and retribution are now commonplace. Remember, if Pineda didn’t like you, it was “2-B [termination] time.” No wonder the CAP is dropping members like flies. We have a Deputy Commander who is wearing too many hats at present, doing too many jobs for the wing. Just some of the happenings going on that your readers should be aware of: A group of cadets from Florida were threatening to boycott the Florida Wing Encampment because they were disenfranchised with a senior member who was running the encampment. So to come up with a better solution, one of the senior members in charge of the cadets went through his chain of command and requested assistance with getting the cadets to the Texas Wing Cadet Encampment. What a great way to pollinate the organization with ideas from around the nation. In typical CAP fashion, the wing and Southeast Region both denied the requests. The parents of the cadets then began calling CAP National HQ and the reply from National back to the Florida Wing was: “The cadets are going to the encampment – make it happen.” All good, they get airline tickets and go. Upon their return, CAP Col Irizarry directed the suspension of the senior member through the group commander. What a shame! The senior can appeal the suspension, however it has to go through the dispenser – in this case Col Irizarry. The CAP in the Florida Wing has a long way to go. This is a “good old boy flying club” with consummate amateurs at every turn. This amateur behavior is sickening, to say the least. A notable fact: the Florida Wing is located in the smuggling capital of the world. The federal government spend millions of dollars per year to intercept illicit drugs on the high seas. It is interesting to note that the CAP doesn’t even have a piece of that pie. 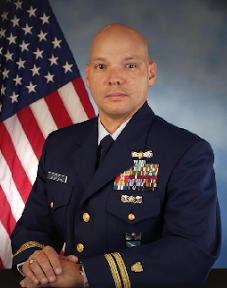 The Florida Wing used to have a high-profile mission and they lost it due to meddling by a former director of operations who couldn’t manage the program very well. In true fashion, the CAP was using aircraft and hotels in a personal manner which resulted in a discontinuation of the program by the Coast Guard and Homeland Security. The CAP has real issues facing it. An email sent yesterday to the Florida Wing commander seeking comment was not responded to by press time today. And “You probably heard the cliche of rat’s jumping off a ship before it sinks. Apparently, your last news story about the CAP’s Florida Wing has gained Civil Air Patrol National Headquarters’ attention,” a source has told NOTF. ” The rats have been jumping off the Florida Wing ship for many years now and they (at NHQ) want to know why. Squadrons once with a hundred people are now at all time lows. National Headquarters does read News of the Force and they are concerned about the CAP’s appearance to Congress – many members of which also reads your wrap and funds the CAP. Under the Courter regime, one commander got a hall pass, and the rest got fired or were ‘do nothings,'” the source told us. ” The members leaving the CAP in droves are not rats. They are people who want to give back, instead they are disappointed. Many just leave after the mound of paperwork and officers who never quite managed anything well. It’s time for new leadership in Florida. Not just at the top – but a deep cut to root out the ‘Pineda mentality’ that still exists. The Florida Wing is an expensive flying club maintained and paid for by the U.S. Air Force. Perhaps leaders from outside the state who haven’t been polluted with corruption could be sent in. Change the organization and stop the abuse, and the organization will flourish,” the source added. Be the first to comment on "Disappointment in Florida Wing"